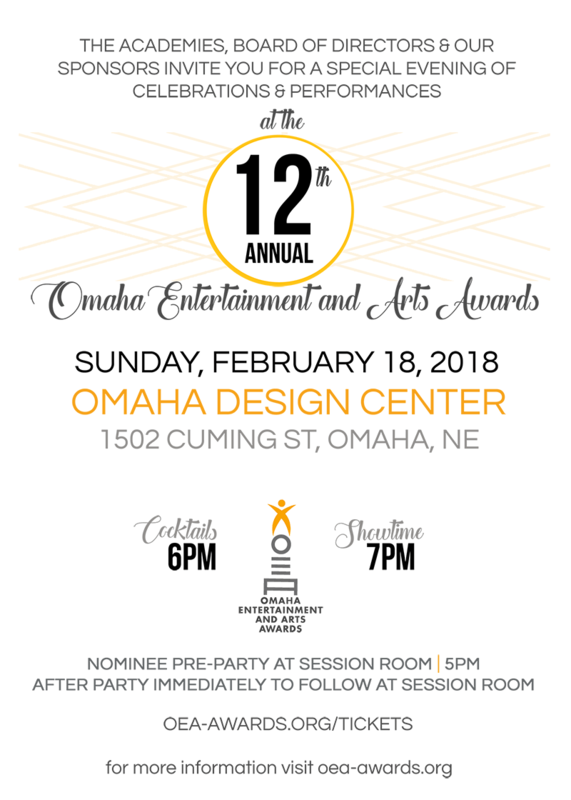 Tickets for the 12th Annual Omaha Entertainment and Arts Awards are now available! Interested in attending the event in 2019. Can you put me on a mailing/email list of some kind. Thanks!